BUDAPEST, Hungary—U.S. Secretary of State Mike Pompeo said on Feb. 11 that America might be forced to scale back certain operations in Europe and elsewhere if countries continue to do business with Chinese telecommunications company Huawei. Pompeo made the comments in Budapest on the first leg of a five-nation European tour during which he said he would raise American concerns about China and Russia’s growing influence in Central Europe. 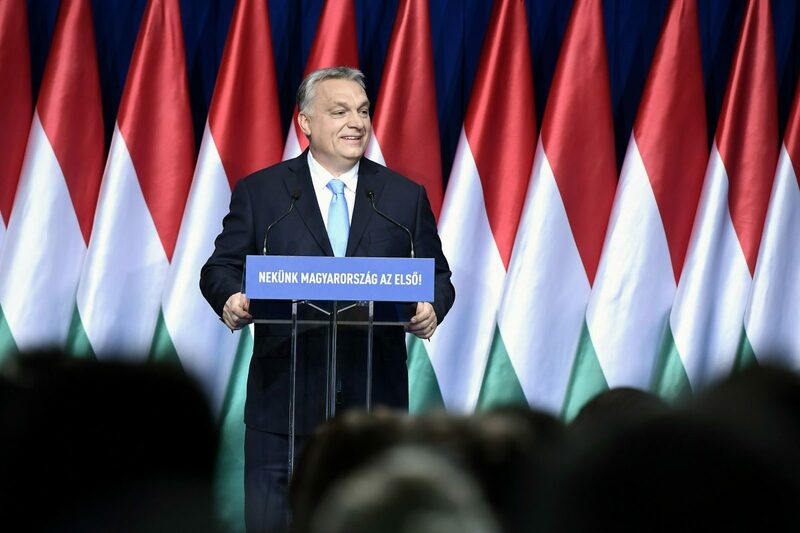 He said he also would discuss concerns about the rule of law, democracy, and human rights in the region, particularly in Hungary, where nationalist Prime Minister Viktor Orban has been criticized for his increasingly authoritarian rule. “They are a sovereign nation. They get to make their own decisions with respect to these things,” Pompeo told reporters at an impromptu news conference at the U.S. Embassy in Budapest. The United States has repeatedly accused China of using technology to pilfer trade secrets. China recently has said that it is “totally unreasonable” to make some of these accusations and the United States is just trying to suppress a rising competitor. Pompeo will take the same message to his next stop, Slovakia, on Feb. 12, before heading to Poland, where he will participate in a conference on the future of the Middle East, which is expected to focus on Iran. He will wrap up the tour with brief stops in Belgium and Iceland. President Donald Trump’s administration has made a point of reaching out to Orban, who shares Trump’s strong stance on limiting migration. Orban has adopted increasingly authoritarian measures, including cracking down on the opposition, labor unions, independent media, and academia. The administration of Trump’s predecessor, President Barack Obama, had largely steered clear of Orban, who won a third consecutive term last year in a campaign based on anti-immigration policies and whose policies have been met with street protests and deepening concern within the EU. 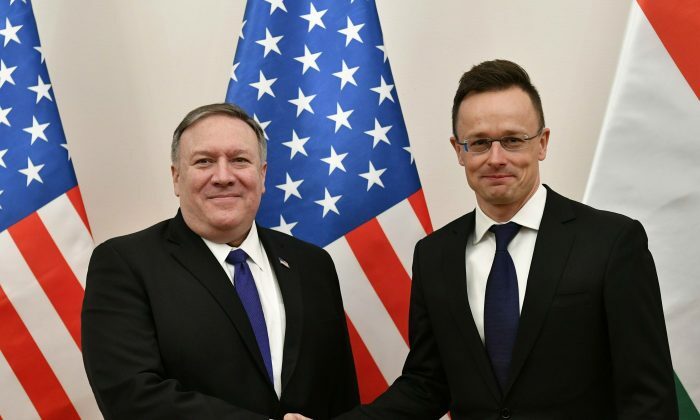 Pompeo was given a list of concerns in a meeting with Hungarian civic leaders. Some of their groups have been targeted by legislation making their work more difficult, like a tax on funds received from abroad and possible jail time for those convicted of aiding asylum seekers. Three groups that took part said they believed Pompeo would bring them to Orban. Last month, Orban said he wanted “anti-immigration forces” to become a majority in all European Union institutions, including its Parliament and the EU’s executive Commission, and predicted that there would soon be two civilizations in Europe—one “that builds its future on a mixed Islamic and Christian coexistence” and another in Central Europe that would be only Christian. Orban’s government has been targeted for criticism, including from the United States, for forcing a Budapest-based university founded by billionaire philanthropist George Soros to move most of its programs to Vienna. Orban’s fiery rhetoric against migrants and refusal to join a new European Union public prosecutor’s office that focuses on fraud and corruption have also raised concerns. By Matthew Lee. Associated Press writer Pablo Gorondi contributed to this report.